A master of pedal steel guitar, Buddy Emmons was born Buddie Gene Ammons on January 27th, 1937 in Mishawaka, Indiana. He was not only a magnificent player, but he also was a pioneer at modifying and enriching the sound of pedal steel guitar, adding pedals and changing the usual tuning to the instrument (for a while, he also had a company for building steel guitars). Buddy Emmons joined Little Jimmy Dickens Band (called The Country Boys) in 1955. He was 18 at that time. 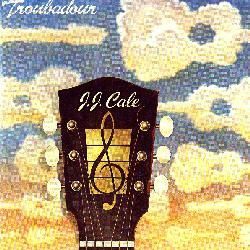 In 1956, he joined Ernest Tubb and his band, called The Texas Troubadours. He stayed several years on and off, also starting a lenghty career as sessionman. 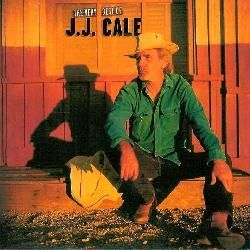 In 1962, he joined Ray Price (his band was called Cherokee Cowboys). This was followed by Roger Miller Band in California. But after some time, Buddy returned to sessionwork in Nashville. Buddy Emmons has passed away on July 29th, 2015 in Hermitage, Tennessee. Comments: Recorded from 1961 to 1963. Comments: Recorded from March to May 1965. Comments: Recorded in December 1964. Comments: Recorded from 1963 to 1965. Comments: Recorded in March and April 1966. Comments: Recorded in July 1963. Comments: Video recorded live in July 2002. Comments: Recorded live in December 1978. Comments: It includes a live track from December 1978 by the band Redneck Jazz Explosion (featuring Buddy Emmons). Comments: Recorded between 1958 and 1959. Comments: Recorded from 1954 to 1958. Comments: Recorded during 1958 and 1959. Comments: First solo album by Phil Everly. Comments: Recorded in December 1975. Jeff Babko, David Benoit, Gregg Bissonette, Larry Carlton, Travis Carlton, Dave Carpenter, Lenny Castro, Fifi Chayeb, Vinnie Colaiuta, Paulinho Da Costa, Mark Douthit, Jimmy Earl, Gary Ferguson, Russell Ferrante, John Ferraro, Marcus Finnie, Michael Fisher, Robben Ford, Don Freeman, Chris Gent, Hollis Gentry, Barry Green, Jimmy Haslip, Michael Haynes, Rick Jackson,... up to 48 musicians. Comments: Recorded in January 1974. CD reissue contains 1 bonus track. Curtis Amy, Alvin Batiste, Pete Beltran, Steve Beskrone, Kenny Burrell, Roy Burrowes, Henderson Chambers, Ray Charles, Merry Clayton, Johnny Coles, Wallace Davenport, George Duvivier, Tom Fowler, Dizzy Gillespie, Susaye Greene, Phil Guilbeau, Steve Huffsteter, Roger Ingram, Charles Johnson, Keg Johnson, Blue Mitchell, Bob Odneal, Don Peake, Jeff Pevar, Morris Pleasure,... up to 30 musicians. Craig Bailey, Gwendolyn Berry, Bruno Carr, Kenneth Carr, James Clay, Trudy Cochran, Leon Comegys, Wayne Coniglio, Steven Elliott, Karen Evans, James Farnsworth, Marc Fields, Sonny Forriest, Lawrence Foyen, Scott Frillman, Kenneth Garr, Benoit Grey, Michael Guerrier, George Harper, Katrina Harper, Jeffrey Helgesen, Margie Hendricks, James Lee Herbert, David Hoffmann, John Hunt,... up to 57 musicians. Comments: It also includes a few tracks by The Davis Sisters. 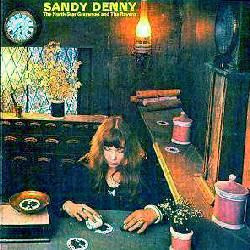 Comments: First solo album by the wonderful, missed Sandy Denny. 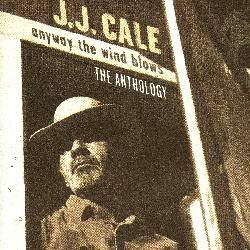 There´s a deluxe edition from 2011 as a 2CD, with added demos and BBC sessions. It also includes Sandy´s contribution to Ian Matthews´ album If you saw thro´ my eyes (the song features Ian Matthews, Tim Renwick, Pat Donaldson, Gerry Conway, thus appearing in the deluxe edition). Comments: Recorded between March 1966 and November 1967. Steven Bernstein, Bruce Bruno, Paul Butterfield, Larry Campbell, Fred Carter Jr, Cindy Cashdollar, Randy Ciarlante, Steve Cropper, Rick Danko, Dr John, Tony Garnier, Clark Gayton, Garth Hudson, Howard Johnson, Booker T Jones, Tom Malone, Richard Manuel, Lou Marini, Paul Ossola, Larry Packer, Glenn Patscha, Jerry Penfound, Robbie Robertson, Alan Rubin, Catherine Russell,... up to 28 musicians. Paul Branin, Frank Campbell, Jay Collins, Mike Copers, Sammy Davis, Mike Dunn, Jimmy Eppard, Steve Guyger, Amy Helm, Aaron Hurwitz, Frank Ingrao, Byron Isaacs, Erik Lawrence, Tony Leone, Michael Merritt, Brian Mitchell, Chris O´Leary, Pat O´Shea, Sean Payton, Andy Robinson, Francis Anthony Salvatore, Jeff Sarli, Fred Scribner, Marie Spinosa, Earl Thomas,... up to 28 musicians. Comments: Recorded between 1958 and 1960. Comments: Recorded between 1959 and 1960. Comments: Compilation with 4 new tracks. Comments: Soundtrack for the movie Sometimes a great notion, directed by Paul Newman. But, for some reason, it was also released with the title Never give an inch. Cliff Almond, Cheryl Bentyne, Keith Bird, Alex Blake, Michael Bowie, Tom Brechtlein, Thomas W Campbell, Frank Colon, Erin Dickins, Alejandro Fearon, Tony Fisher, Yaron Gershovsky, Jamie Glaser, Derek Grossmith, Cliff Hardie, Steven Hasapoglou, Steve Hass, Bobby Haughey, Tim Hauser, David Horler, Ronnie Hughes, Chris Hunter, Peter Johnson, Wayne Johnson, Karl Kaplin,... up to 46 musicians. Comments: Recorded from June to November 1966. Comments: This fantastic and fine musician sadly passed away in 1973, when he was only 26. He was a member of The Byrds, and later a founder member of The Flying Burrito Brothers. As far as I know, he only recorded two solo albums while he lived, GP and Grievous angel, but his legend grow immensely after his death, and like some other great names, his discography is still increasing nowadays. Ric Grech was a great friend of Gram, and that's why he appears in his offcial albums, as well as in almost every collection of demos or outtakes. 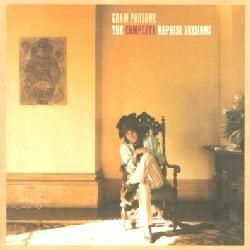 GP was Gram's solo debut. With his then girlfriend Emmylou Harris, and some Byrds-related musicians, members of Elvis Presley band, and some other country-rock musicians, like Buddy Emmons (steel guitar), the great James Burton (guitar), Byron Berline (violin), Glen D. Hardin (keyboards), Al Perkins (steel guitar), Ron Tutt (drums), and John Guerin (drums). With a song written by Ric, ´Kiss the children´, who also co-produced the album along with Gram. It was recorded September-October 1972. 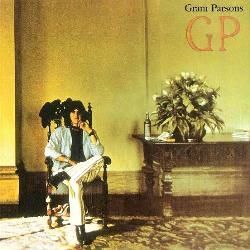 Comments: 3CD comprising Gram´s two solo albums (GP and Grievous angel, plus a 3rd CD with rarities and outtakes. Comments: Tribute to Ray Price. Comments: 3LP comprising the whole complete five albums John Sebastian released with Reprise: John B Sebastian, Cheapo-Cheapo Productions presents real live John Sebastian, The four of us, Tarzana kid, and Welcome back, plus additional live tracks. Comments: Recorded between 1955 and 1960. Comments: Recorded between 1959 and 1963. Comments: Recorded between 1953 to 1956. Comments: Recorded between 1958 to 1960. Comments: Recorded between 1957 to 1961. Comments: Recorded between 1956 to 1961. Comments: Recorded between 1952 to 1954. Comments: Fifth solo album by Steve Young. Disclaimer: I don´t own or upload any of the videos linked here. I just include links to live videos that are already available, in order to show the work of this musician. Anyway, if someone feels that some link shouldn't be included, please write me at the email address shown below. And if you know of more videos featuring Buddy Emmons, please, also write me with the link. Featuring: Sam Bush, Jerry Douglas, Buddy Emmons, Edgar Meyer, Mark O´Connor. Featuring: Helen Cornelius, Buddy Emmons. Rest of the band unknown to me. Featuring: Buddy Emmons, Becky Hobbs. Rest of the band unknown to me. Featuring: Buddy Emmons, Patti Loveless. Rest of the band unknown to me. Featuring: Buddy Emmons, Lisa Silver. Rest of the band unknown to me. Featuring: Buddy Emmons, Ernest Tubb. Rest of the band unknown to me. Featuring: Buddy Emmons. Rest of the band unknown to me. Featuring: Buddy Emmons, Shorty Lavender, Ray Price, Pete Wade. Rest of the band unknown to me. Featuring: Buddy Emmons, Danny Gatton, Scott Taylor, Steve Wolf. Featuring: Phil Baugh, Buddy Emmons. Rest of the orchestra unknown to me. Featuring: Buddy Emmons, Gregg Galbraith, Bobby Regot, Roy Rosetta, David Russell, David Smith. Featuring: Buddy Emmons, Laney Hicks. Rest of the musicians unknown to me. Featuring: Dan Dugmore, Duane Eddy, Buddy Emmons, Steve Fishell, Byron House, Dean Miller, Greg Morrow, Buck Reid, Leon Rhodes, Hargus Pig Robbins, Guthrie Trapp, Tommy White. Probably some more unknown to me.